these dives have been a fun way to get to know other bloggers and to give life to some old posts. i’ll be wrapping up these dives in december, so if you have been wanting to share, now is the time :-) thanks to everyone who has participated by posting and by reading and commenting on other blogs. so neat to see the connections we have here. This entry was posted in friday archive dive and tagged friday archive dive, paint. Bookmark the permalink. 5 Responses to friday archive dive! 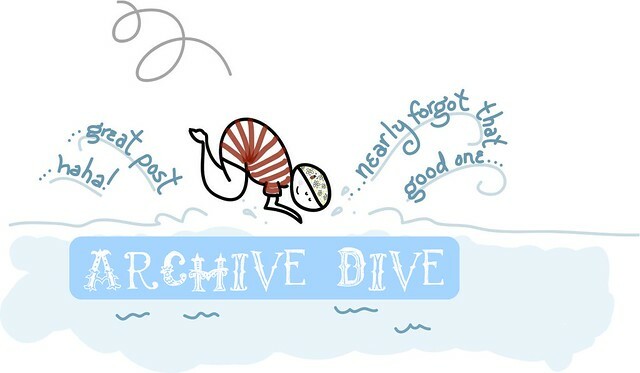 I have enjoyed your Friday Archive Dives so much! It’s made me go back and find some forgotten posts and relive some great moments. And discover some other great people in the blogging community :) Thank you! I love and miss painting. Fun topic of archive dive! Hello Sweet Ana ~ I have enjoyed your Archive Dives VERY very much! Sounds like your home is getting freshened up – I love that. Good luck surviving that one ;). We’ve just finished renovating (well, we haven’t even finished) so it is hard to come back up for air from all the dust – – but soooo worth it. Have a great weekend Ana! I feel like I’ve done nothing but paint for the last few months… sadly, just room walls, nothing too fun! !